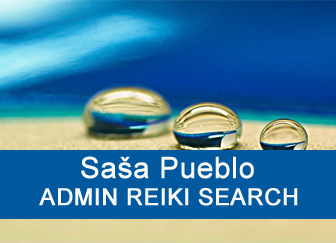 Serious Reiki research based on testing and verification. 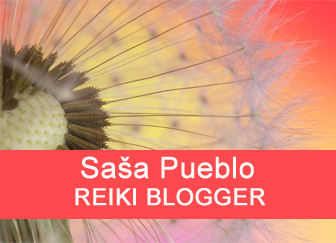 Exploring different Reiki systems. 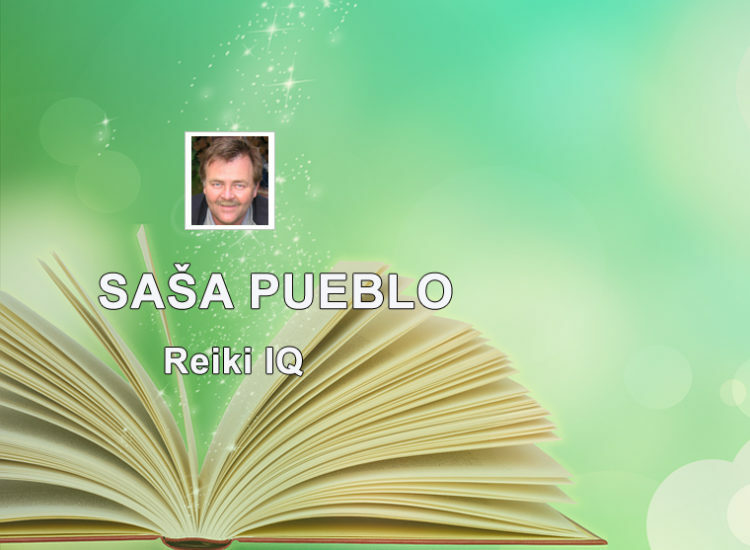 This time we will be dealing with intelligent Reiki. Building artificial intelligence directly in neurons of the ezotericist and reikist. So IQ Artificial Intelligence. Something like to get the computer with its programs into the head. We are talking about ordinary people who don´t try to remake own inside programs, formulas of behaviour which they´ve got from their parents, school, personalities of life to themselves. Eventually, they practice spiritual things only in memories. And when they practice it, just like a folk event. For example, yoga exercises as physical activity. Eventually, they have meditation as relax and in the worst form as internal indulgence. They do not meditate inside by concentration of all senses. Spirituality as a carrier of religious reference into the future. They don´t meditate inward by the concentration of senses and when they meditate then as storing theoretical knowledge into memories. And we are not going to write about such theoretical type of spirituality. We grow living form of spirituality and not only by the way. We didn´t come to meditation to hide and practice mental disorders. It’s not about the science fiction and fantasy. It´s about real mental penetration and concentration into neurons and cells and making fundamental changes. Achieve longevity and not just health. Keep your intellect into deep old age and focus own life on after death questions. Build artificial intelligence inside yourself and give own life the deepest possible sense of infinity. These are first steps to greater intellect. Concentration of all senses to one point in the brain and keeping this concentration not to imaginations but to real nerves and neurons and groups of neurons in the brain. Getting know the brain theory. With the help of pictures and videos visualize what is in the brain. Start with linking all small groups of neurons to one unit and thus increase intellect. Do not choose memories only by eyes movement but also by movement and vibration of muscles on the hands. Then we have to learn new principle how to select memories from inside and that is by vibration of all body muscles and mainly those which are reserved under skeletal muscles. You can activate them when you grip one muscle during physical exercise as if you have cramping. Then you release cramping of one muscle and you put another muscle to cramping. Next you will then learn how to save memories as written text, so as stenography. It was used in the courts. Memories storage into the micro-dot and thicken them. Damaged places in the brain that can talk you delusional thoughts therefore such areas should be transfered to your good consultants. Learn how to store and work with information in a binary system. A little knowledge of machine programming with zero and one. Good to know how to organize your memories into library system. These are penetration techniques into adipose neurons. It’s an older type of neurons. There is a difference between the neuron in the brain and adipose neuron around organs and body systems. Adipose neurons – mesenteric structures, as they are called by medical science, are at each organ and their control structures around the navel. There are also other unique phenomenas around the navel, namely the nerve after the mother, the mitochondria Eva from mitochondria of female eggs and they manage organelles in cells. Here is hidden center of digestion which remains from childhood and this center could be activated. Here is also phantom umbilical cord and placenta. This is similar like in person who doesn´t have hands and they still feel this hand energetically. This is called in medicine phantom pain. Reiki Hawayo Takata also directs into this area. Adipose neurons manage whole system and mainly digestion. And here is crucial how digestion of the person works. Meditation into these structures is developed in India and the group so called Brahmas performs this meditations. Again, you can have unique intellect because these neurons can produce special chemical compounds in the fat cam. This expansion requires extraordinary sensitivity which you gradually develop in your ear organs. Rework and adjustment of ear and ear drum is necessary so that the ear become something like a radar. Then the ear vibrates, resonates and scans the surroundings like a batman, a dolphin, a whale and a jellyfish. And it is like a sonar that constantly sends frequencies and scans mainly own interior. And it scans energy flows and electron and photon flows. Organs of the ear can learn spectral analysis and this is the formation of microparticles into specific pulses for deeper understanding of what is happening in the human body. So control of small ganglia – clusters of nerves around every organ of the body. 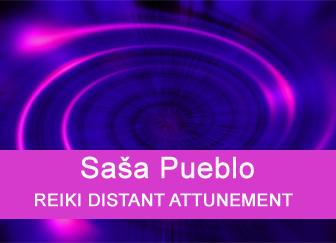 This is where the basic initiation of Reiki is directed, by those who have these areas about 5 times stronger than the person who receives atttunement. These include the vocal cords resonance exercises using letters. And they are said with closed eyes. Pulse of micro muscles around the eye. Pulse of brain membranes on the surface of the brain. Again concentration and oscillation of letters. Then there is a membrane beneath the lungs and vibrations that unblock the painful nerve grasp. These include technical devices that vibrate, resonate as psychowalkman and others. An important device is an oscillator. Extended consciousness of Reikist goes to the area of thymus gland. Child has until certain age of his/her life own thymus in the chest about the size of heart. Then thymus is slowly lost and about 100 small thymus glands remain over the whole body. Some individuals have 1000 thymus glands in the body and they are usually the best healers. We are here interested about bioenergies which flows from thymus glands which are formed into the picture of angelic spheres. It’s a childish consciousness full of creativity. Of course, Reikist works to develop deeper energies of own or foreign energies from children glands. On the one hand, it’s a person’s health because the baby’s glands make up biosalts and feed through the microtubules inside the cells. Microtubules have been discovered by quantum biologists and nowadays medicine today does not consider them. But they are like microwaves going through all the cells of the body and especially the neurons in the brain. This is important. Damaged baby glands give black angel spheres. If a person has a damaged child’s gland, it can often lead to such cases. Partially damaged children’s glands give the gray angel spheres and emotional decisions. And when the baby’s glands are healthy, white, diamond, pulsating and golden angel spheres. A person who, even in adulthood, remains as a child and rub feahers in the hand gives a specific angel of sphere for extraordinary success. Mathematics, logic and general laws are matched to this success. When a person wants to be extremely rational and looking for success, they must continue the connection on these people or their post-mortem records. If you choose angelic spheres of New Testament and religious, you can also extremely well stabilize the behavior of the addict or madman. Mohammed and other educators were inspired by Egyptian culture and their magicians took over angelic records from them. Renewing your own baby’s glands to such integration is the pinnacle of trying around the baby’s glands. Even from this unbelievable concentration of angel spheres you will have a specific space open in your face. It’s a technique of penetration into bone neurons. We know that bones contain a number of neurons that are capable of storing vast amounts of information. When I had a problem with the memory of the big brain, I was looking for more capacities and I´ve found them in bone neurons. Even the dead bones of the dead man contain information that has been acquired during life. Reikist must fill them at a distance by own energies. Extending consciousness to the bone system is a great thing. Bones produce special chemistry, and therefore superconducting potencies which make neurons an incredibly vast reservoir of information. I would compare it to modern servers all over the world. The server is a device for storing information flowing through the internet as well. This is a specific consciousness where you invent quantum physics from books. Watching particle videos. You know the atomic devices, the atomic bomb, Tokamak and the device called Cern. There can be different kinds of oscillators and a mega oscillator that resembles the magmatic core of Earth. And then meditation on people working on these devices. It also includes people who work with radiation material. For example, radioactive germanium. People who worked with radioactive material have special energies flows inside of themselves. For example flow of electrons and photons between left and right hemisphere enable together with hypnosis unique connection left and right brain and som different flows of information in the human brain. You can imagine this so that some parts of neurons paths are linked together with light flow of particles and so this increases intelectual potential. Here we are talking about different deep meditations on any meteorites over the whole body. Not imaginations about them but distant connection on meteorites and people who works with meteorites over whole world. This is about shamanic techniques when you can not see difference between yourself and meteorite. Shamanic cultures communicated with meteorites as with living objects and this is well functioning in determination of the illness of any organ in the body. You go to talk with this organ. Meteoric consciousness connects with collective consciusness. In current time, it is violent collective consciousness to free neurons in other brains and then connection on everything around meteorites. Budhist Reikists in Gobi dessert which is in China meditated very deeply on meteorites, they built own statues from meteorites. They built real rooms and they brought meteorites from the dessert there. Japanesse mountain shaman made samurai sword for himself from meteorite. He did it few years. With this meditation you will have open specific space in aura near face as in meditations on living tiger and also on pyramidal structures. These are techniques that point to the cult of the tree. The best is preserved in China. Here you have to be careful that you do not make religious ceremonies on a tree, do not make lumberwood folklore, but real rituals and rituals to living trees, to the shamanic tree. Such tree have regular Reiki attunement by Reikist. Meditation on fresh annual rings. Listening to the sound of leaves. Perception of leaf movement. Tai Chi exercises are great for opening your own cellular consciousness. You know well that we have to breathe through the skin. Otherwise we can not live – cases of whole-body burns. And our cells have a lot of tree-consciousness, even though scientific methods have not shown tree consciousness. Jin Yang and qi energy. Do not see the difference between Reikist and the tree. This may include Japanese Reikist Chujiro Hayashi who has been involved in Reiki but also in pitchblende research – radioactive substance for medical purposes. The aura opened up a specific energy unit and this Reiki was unique. Here is again specific type of consiousness where person meditates on distance or with presence of tiger. Directly meditates many years on tiger breeders, tiger owners, tigers in zoo, tigers in wild nature and mainly on budhist monks who keep tigers. Then he also meditates on people who exercise kung fu Tiger. It´s necessary also physically practice Tiger techniques and such techniques copy from video. Concentration on the symbol of living tiger. Such symbol is black burning over tiger eyes. Each tiger has specific symbol on his forehaed. And the sign on forehead is lost Reiki sign. Getting know chinesse DAO, not Tao because Tao is religion of 5 emperos and not living form of spirituality. These are meditations of ancient China and its periods of shamanism. The result is opening of special space in the aura. Such space in few centimeters in front of face of esotericist. And in such space is inserted the symbol of living tiger. You receive the attunement in such space directly from tiger who was receiving Reiki many years. So this is the theme of the theme. And it’s about how and why you live and what fills your life. Rich people say they do not buy life for money. And another billionaire sadly states that we can not buy afterlife. And so I thought and I decided that real wealth is just what you are going to take after death to the world of dead memories. It is unbelievable that during human history no one has ever ventured to properly examine the world of dead memories. And so I honestly practiced the early stages of clinical death and in my life I´ve got into the world of dead memories. It is the space where memories of human, animals and memories of trees end up. And we have to entrance into such state during our lifes. I entered the early stage of clinical death and started to recognize it. Based on my experience, I decided to do everything in my life so I could take it there. And what I can not get into the world of dead memories I’m not interested in. For example, as earthly glory. I decided to continue where some saints went. And I keep on getting to know the world of dead people, if possible in perspective and soberly. The basis is the Neolithic culture of Göbekli Tepe in Turkey which has established an organized system active in the world of dead today. I want to put everything on my own in the world of dead memories and add a unique structure of artificial intelligence. I know that I can not get my mind into the world of the dead, but it will be replaced by partially constructed artificial intelligence in my brain. German Goethe and his Faust who was built into the world of the dead can also be a model. The problem is very complex and demanding. You will fully understand when you start to practice it. This is about brain tumor suggestion and so to move own consciousness into the back of your brain and settle in cerebellum (which looks like smaller tennis ball and has ten parts). Expert medical literature writes that there are nearly 50% neurons of whole human body. With permanent concentration into cerebellum you would read all Jewish literature. So is the Old Testament, Talmud and Zohar. You are practicing Jewish writing and you are always mentally sitting in the cerebellum. And you raise your intelligence. Later, you get real long distance connection to Siamese twins and you learn to communicate with them. Siamese twins are grown and their brains communicate specially. They synchronize their brains. And you have to learn it in your brain. Brain actually contains pyramidal cells in large quantities. And so you are interested in pyramids, even those that are impregnated with electricity. And especially within the Pyramid is a specific point. Learn this. This point can be opened in your aura and then enter unique world of mystics, wizards and occultists of ancient Egypt. You are working there with patience. You need to be educated throughout your life in all areas of natural, social, technical and esoteric areas. And best outside schools and school facilities. You should be trying to become a polymath. Since the age of 20, I have been constantly studying everything that educated people have created. I am also educated in art and fiction. I have done real art as well. I have created space and I have many collaborators who constantly collect for me and others different information from certain areas of life and we are most interested in all areas of medicine, the universe and currently the exploration of the universe in the level of astrophysical principles. Of course, astronomy based on the processing of our own neurons. We’re talking about bio-telescope right in the brain. You will overcome borders of today’s science by turning your brain into a bio device for exploring the cosmos. Your brain will explore as a bio-engine the world of particles and the world of the cosmos. It is not a simple way, at the end of which you will cry: I am no longer a human, because I changed so that no one can call me human. It is necessary to spend 10 to 30 years to getting know all esoteric work that man has produced on this planet since the time of about 4 billion BC. You will know animal ancestors of the man, the ancient ancestors, the history of old cultures. At the beginning as school topic and at the end as real spiritual practice which you will realize in your whole body. explore spirituality in every country on this planet. Shamanic cultures and their real traditions and revive them. And do not forget Chinese traditions and traditions of other countries in different countries of the world. You will become an expert on all areas of esoteric life and above all you will develop clairvoyance techniques so that you can explore what I have studied and developed. And with extraordinary abilities you will completely change. This is about specific consciousness and esotericist tries to go into cosmos mentally throught such built consciousness. Esotericist tries to look for exoplanets in the cosmos. Telescope Candra always finds some. Try to find organic life on any of exoplanets in constellation Aries or Berenika hair where is organic life more developed but not as much as on the planet Earth. We have to learn mentally penetrate to the cosmos through deprived and living persons and then through people who have pathology, both human and animal bones or other disorders that allow them to contact spontaneous technologicaly sophisticated life in the cosmos. Connection with them help us to visit such people indirectly but it is necessary not to contact them from long perspective of view. When you travel to cosmos mentally you sometimes meet only technologicall intelligence where organic solid is reduced to group of neurons and the rest is technological. Some organic lives survive in the cosmos only on built artificial planet. Leaving a failing environment usually of solar system. A huge number of cosmic stations together. Here it is about our ability to get inside our dreams. The base for dreams is in the middle brain and here are hormonal glands hypophysis and pineal gland. Here about 32 neurons switch from night to day mode. Classical sleep. And there are faster processes and the use of autohypnosis that is, simple switching in the left part of the body and then the right part of the body. Right eye and then the left eye reacts and then vice versa. You produce chemical hypnol on the tongue. By hypnotisis you will get into your dreams and then you hypnotize other sleeping brains and get into these sleepy people and their dreams. Alternatively, you connect on distance to people or animals that have sleep disturbances and they do not even know that they are traveling from sleeping brain to another sleeping brain. And we’re calling such astral travelings and astral projections. Through the dream channel, the copy of your body travels. This can not happen in ordinary memory but throught the memory outside of you. This is special clairvoyance consciousness where person trains own neurons to read what was done on this planet with living organisms. This is practice of shamans who cut and crippled themselves to take over bad destiny and diseases of others. With the idea, I take your sins and voluntarily take over them to myself. Esoterically tuned person downloads own magmetic records and pemanently moves them into own body. He stores such magnetic pulses in own energetic field and so akasa consciousness arises. 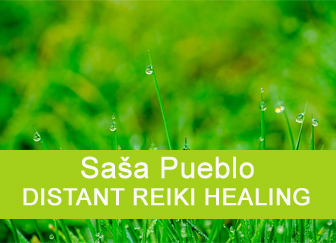 Esotericist Reikist can take inside of himself also infomation pulses of people and animals and that he uses to support own health and spiritual activities. Here it is about special concentration of all senses inside of own bones. Real concentration in certain part of bones is necessary and penetrate inside of own bones and bone mind will be required. You can visit for example once a week the area with enought strong radon radiation. You let your bones to receive radon from the air. It is necessary that we maintain the ability to produce energy and special superconducting substances within bones. Superconductivity at room temperature arises in bones and this allows all cells and smaller organelle, chromosones and genes to be magnetized objects. Also those which are non magnetic under normal circumstances. Only superconductivity allows to have magnetic abilities for usually non magnetizable elements. This allows you to produce unique chemical substances. This then forms the basis for extremely strong memory directly in the bone system and not in the brain. Often people in around the age of 60 go to such extraordinary type of memory. Creation of superconducting magnetism effectively magnetizes all red blood cells which then have longer lasting, survive more, live longer and work super efficiently. It is about learning how to from own neurons in the brain penetrate directly into the cosmos. I do not think here to access your imagination or to go to the head of another person or to energetic aura around the body but using particles from your body straight into the cosmos. Alternatively, over a person who is disabled during his / her life from birth. This deformity can be done by the concentration into own bones and you gradually begin to send certain types of particles to the real cosmos around you. These will be particles from your bones. Human bones during youth create something like superconductivity at room temperature. And these unique particles are sent to the cosmos to bring back information from the cosmos. It is necessary to practice yoga to withdraw from involvement in earthly desires and needs. So also learn clairvoyance performance of what your released particles will bring back to your brain. I recommend that you get real knowledge of the cosmos. And be careful to explain real-world objects and conditions in the cosmos. And then you can reach a distance of 100 m times 400 kilometers or more. But only to the border where you can still understand what kind of objects are there. And then you get unique consciousness and that is the consciousness of the real cosmos. 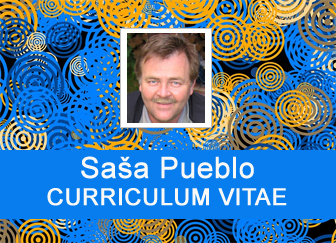 Of course, you will cross the boundaries of today’s knowledge of scientific astronomy and astrophysics. Whoever trusts yourself could start exploring the cosmos using atomic spectral analysis. Consciousness of this kind is built by inner concentration inside the body. This is about 200 prehistoric structures. Such structures appear during embryonic development of fetus and embryo in pregnant mother and they remain in the body during whole life. Only some of those structures are activated during the life. Interesting is that their activation brings stem cells into the body. They are cells which support the renewal of organs and creation of new cells in the body. It´s worthy to activate such structures and gain stem cells. Mental communication with these structures can also be conducted in such way that the personal prehistory of own animal and human genera can be personally identified. For example, among fat cells are also groups of prehistoric fat and it produces unspecified stem cells for the entire organism. We’ve seen something like this in treating a 90 years old person. I recommend waking up these prehistoric structures by gradual concentration and meditation.